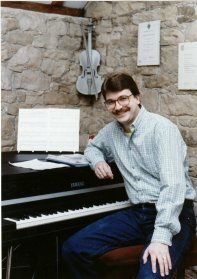 Philip Wood is a composer and teacher based in Cumbria. He has degrees in music from Northampton and Leeds, latterly studying with Philip Wilby and Prof. Julian Rushton. During the early part of his career Philip received much encouragement from Sir Malcolm Arnold and as a result does much work for the Arnold Society. Amongst his pieces written for professional musicians are: String Quartet No. 3 (Sorrel Quartet), Concertino for recorder and string quartet (John Turner and members of Manchester Camerata) and Four Bagatelles (Martin Roscoe).